8 day trips to take from Tokyo – Like it? Pin it! Most people visiting Japan choose to begin their Japanese vacation in Tokyo. It is also an excellent choice for many reasons, most importantly because of proximity to the largest international airport, but also because it makes a perfect home base for taking day trips from Tokyo to other parts of the region. After you’ve spent a few days exploring Tokyo, you’ll be ready to set out to farther destinations. Many of the top destinations you’ll want to visit that don’t require longer stays are actually within an hour by train from Tokyo, so they are easy to accomplish in a day trip. In this post, we’ll give you all the details you need to plan and execute eight of the most popular day trips from Tokyo. You won’t need to pack your bags each night and check into a new hotel each evening. Instead, you can return to your Tokyo hotel. ★ Looking for a Tokyo itinerary? We’ve got you covered with our 3-day Tokyo foodie itinerary. We also have itineraries for 7-days in Japan and 2 weeks in Japan. Before you decide where and when to go, there are a few transportation considerations to make. We always recommend purchasing a Japan Rail Pass if you’re planning to do a lot of travel throughout the country. If you’re planning multiple day trips, most of the places you’ll want to go are included in the pass, so it can save a significant amount to go with the pass. Be sure to consider the costs before you decide. Read our guide on where to buy a Japan Rail Pass and if it’s worth it. ★ If you’re ready to buy your pass, you can get them quickly and easily from this website. Mt Fuji is often one of the first destinations tourists want to visit in Japan, after Tokyo. It is one of the most beautiful mountain in the world and the highest and most climbed in Japan. For the Japanese, the mountain represents good luck and good fortune. Maybe after a visit there, the luck will rub off on you too. One thing to keep in mind when planning a day trip to Mt. Fuji is that as the day progresses, the mountain gets more difficult to see. If you want to have a good look at it, make sure that you visit in the morning. Also, if you decide to visit during the winter months, the upper part of the mountain will be mostly snow covered. Mt. Fuji is just 60 miles away from Tokyo, making it a super easy day trip. There are numerous things to do there, so you’ll want to decide on an itinerary beforehand. The most popular activity is hiking, which you can do between July 1 and September 10. Outside of those times, the huts are closed and it can be treacherous conditions. It’s not wise to hike Mt. Fuji outside the hiking window. Depending on the trail you choose to hike Mt. Fuji, the climb can take between 5-10 hours. This is an average time, that doesn’t take into consideration your level of physical ability. It also doesn’t account for breaks you might take at the huts along the way. You don’t need a permit, but you should fill out a form for emergency purposes. There are four possible trails: Yoshida, Subashiri, Gotemba and Fujinomiya. Yoshida and Gotemba are the most popular. → More information about hiking on these trails. To get to the hiking stations, you can take a JR Limited Express train ( the Azusa or Kaiji) from Shinjuku Station to Otsuki. You will then have to transfer to the Fujikyuko Railway for Kawaguchiko. The journey is approximately 2 hours and 20 minutes. From Kawaguchiko Station, you can get a local bus up to the Fuji Subaru 5th Station. Mountain buses take hikers from one of the five 5th stations up to the trails. Another route you can take directly to Gotemba station is to get on the JR Tokaido line at Tokyo station headed for Kozu (you can use your JR Pass). Once you get to Kozu (Kanagawa), take the JR Gotemba Line for Numazu and get off at Gotemba Station. Of course, you don’t have to hike to the summit to enjoy hiking opportunities at Mt. Fuji. You can also hike Mr. Mitsutoge, which is a much smaller mountain and an easier challenge than Mt. Fuji, with a fantastic view, taking around 4.5 – 6 hours to hike. The trail is easy to follow with signs in English and Japanese. If you stay to enjoy the view at the top a little longer, be sure to account for that in your timing. Traveling from Tokyo, there’s an express train on weekends only, from Shinjuku station to Kawaguchiko at 8:14am. If you miss that one you can take the Chuo limited express line to Otsuki, then change to the Fujikyuko Line. When you get off at Mitsutoge Station, head toward the Mitsutoge Green Centre and follow the signs to begin the hike. You can go straight to the summit from there. 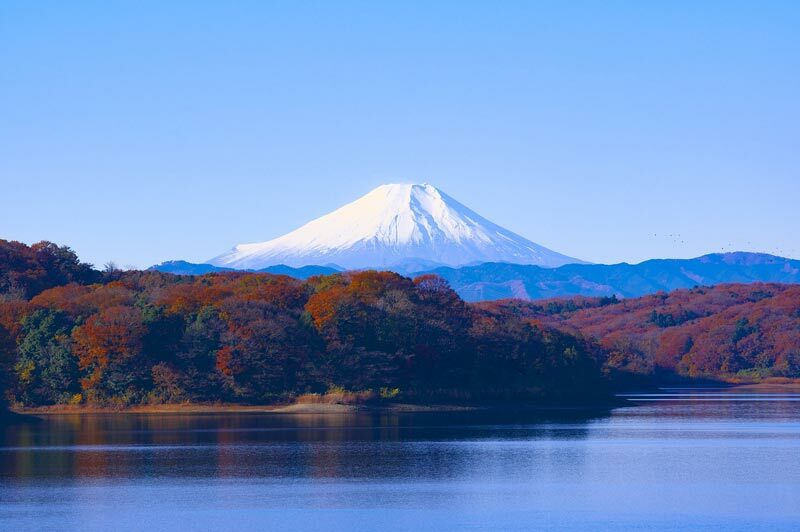 Fuji Five Lakes offer popular viewing spots for seeing the mountain at its best. Kawaguchi-ko is an easy day trip from Tokyo and will give you the up-close perspective you were hoping for. It’s a hot springs resort town that’s the easiest to get to from Tokyo. If you’re visiting for views, you’ll find the best one around the northern shore of the lake. If you can visit in April during the cherry blossom season, you’ll get even a bigger treat for your eyes. There are many other things to do in the area, from boat rides, to museums and hot springs. Another incredible thing to see in this are is the Chureito Pagoda – a 5-story tall pagoda that’s part of the Arakura Sengen Shrine. To get Kawaguchi-ko from Tokyo station, take the JR Chuo line to Mitaka station, then transfer to the Kaiji express train to Otsuki. If you’d rather not transfer, you can get the Kaiji express from Shinjuku station. At Otsuki, you have to transfer to the Fujikyu line. The entire trip, except for the Fujikyu line, is covered by the Japan Rail Pass. On the southwest side of the mountain is Hakone, a small town in Fuji-Hakone-Izu National Park. This area offers the best all-around options for day visitors and it’s the easiest to get to. From Hakone, you can find great viewing spots, visit the Open Air Museum, see the gardens, and O-waku-dani, a volcanic crater. One of the other main reasons people visit Hakone is for the onsen hot springs. The best thing about Hakone is the seemingly limitless amount of exploration you can do. Hakone Hot Springs is a great place to go to enjoy the beauty and serenity of the park. There is also the Hakone glass museum that is a magical place to visit. If you like to be on the water, Hakone Sightseeing Cruises offers a spectacular view of the park from their boats. ★ If you’d rather leave the planning to someone else, book this day trip to Hakone with a local guide. From Tokyo get the Shinkansen or the JR Tokaido line from Shinjuku station. The Shinkansen takes just 36 minutes to reach Odawara station, where you’ll get off. The JR line takes about 90 minutes. At Odawara you have to get on a local train or bus to reach Hakone. This route is all included with the JR pass, except for the local transport. You can add the Hakone Free Pass to your JR Pass, but if you’ll only be there for one day, it won’t be necessary. Lake Ashi, also known as Lake Ashinoko or Hakone Lake, is a crater lake on the southwest wall of the Hakone Mountain caldera. The lake was formed after an eruption of Mount Hakone. The lake offers a great view of Mount Fuji when the weather conditions allow. Oftentimes the mountain is covered by clouds, so be prepared for this possibility. One of the most popular activities in Lake Ashi is the boat cruise on the lake to enjoy the stunning scenery. Along the way you’ll see attractions like the Hakone Shrine in the middle of the lake, the Treasure Museum and the Palace Garden. ★ If you’d rather leave the planning to someone else, book this day trip to Mt. Fuji including a Lake Ashi sightseeing cruise. Take the Shinkansen/JR line to Odawara station, then take the Odakyu train line to Hakone Yumoto Station. When you get off, transfer to the Hakone Tozan train for a 45-minute ride up the mountain to Gora station. In Gora, you change to the cable car which will take you further up the mountain to the Hakone Ropeway. The Ropeway then takes you to Owakudani and then to the Togendai terminal on the shores of Lake Ashi. Nikko is the town at the entrance to Nikko National Park. One of the major attractions here is the Toshogu shrine, which is lavishly decked out in gold and jewels. The national park offers many outdoor adventures around the lakes and waterfalls. Of course there are also the famed hot springs, and you’ll even find a few wild monkeys. If you’re interested in hiking, there are many trails to discover. One of the most popular activities is taking an electric bike ride to the imperial palace. Stroll along Lake Chuzenji shore and take in the glorious view. In season, you can visit Dragon Head Falls to see the cherries blossom. The wide array of autumn colors make for a gorgeous environment. ★ If you’d rather leave the planning to someone else, book this day tour to Nikko from Tokyo. This journey is included in the JR pass. From Tokyo Station or Ueno Station, take the JR Tohoku Shinkansen to Utsunomiya. Then transfer to the JR Nikko Line and get off at Nikko Station. The journey takes about 1 hr 40 minutes. The best way to explore Nikko is to use public transport. Taking a bus tour will allow you to observe all the parts of Nikko and explore the beautiful landscape. Kamakura is a coastal town, and it takes about an hour to get there from Tokyo. Kamakura is a great tourist location, and temples and other tourist attractions surround it. Since this is a coastal town, it is advisable to visit during the summer season. One of the main attractions, among many in Kamakura is the “Great Buddha,” an incredibly large 800-year-old bronze statue of Amida Buddha. The Yuigahama Beach is located only 20 minutes from the train station and provides an excellent option for some beach-front relaxation. After walking throughout the day, you can go to Komachi Street for a fun shopping experience. Kamakura is a great food city. We always love a good food tour. ★ If you’d rather leave the planning to someone else, take this day trip from Tokyo to Kamakura. You can take the JR Yokosuka train line from Tokyo Station directly to Kamakura Station. It takes about an hour. Super simple. The macaque monkeys is a unique species. They are also known as “snow monkeys” because of their ability to live in areas that are covered with snow. These monkeys are unique because there are no other primates (with the exception of humans) who can live in such a cold area. To remain warm during the winter season, these monkeys bathe in the hot springs of Japan. These monkeys are native of Nagano prefecture. Tourists can visit the park to witness the monkeys relaxing in the hot springs. The best time to visit is in the winter (January and February). ★ If you don’t want to plan it yourself, you can take this tour to see the snow monkeys at the Jigokudani Snow Monkey Park. Take the JR Hokuriyu Shinkansen line from Tokyo Station to Nagano Station. It takes around 1 hour and 40 minutes. You’ll then need to take a bus to the park. This is an enormous theme park that’s actually two parks in one: Tokyo Disneyland and Tokyo DisneySea. Just like any other theme park, you need to plan your time well because you might be overwhelmed by the many options. At Tokyo Disneyland you’ll find favorite rides like Space Mountain, Splash Mountain and Big Thunder Mountain, as well as the Haunted House and the Monsters Inc ride. Don’t forget about the parades and shows that take place every day. You can also check the calendar for seasonal events. At Tokyo DisneySea you’ll find the Tower of Terror, Toy Story Mania!, the Indiana Jones Adventure, Journey to the Center of the Earth ride, and the Venetian gondolas. It’s also packed full of shops and restaurants to enjoy along the way. It is advisable to buy your tickets in advance. You’ll save money purchasing in advance over getting them at the gate. It’s also a good idea to go early so that you can get see as many things as possible. You can purchase a one-day ticket for ¥7,400 for adults and ¥4,800 for children. This gives you access to both parks. There’s also an afternoon and evening option that saves money, but really limits your time in the park. The best option if you want to see it all is to get one of the multi-day tickets (2-4 consecutive days). Take the JR Keiyo Line / Musashino Line to Maihama Station. It’s a 20 minute ride from Tokyo Station and 40 minutes from Shinjuku. Yokohama is the closest major city to Tokyo and is itself rather large, with 3 million inhabitants. If you’re looking for more city life to explore, you’ll definitely find it in Yokohama. For beer lovers, the Kirin beer factory is located here, and they give daily free tours which last around 80 minutes and include a beer tasting. Inquire in advance if there will be an English guide available. The Sankeien Garden is an extraordinary Japanese garden with 17 historic buildings from around Japan that were reconstructed here when the gardens were built. Yokohama’s famously large Chinatown is a great place to visit when you want to enjoy an excellent culinary experience. Do not leave Yokohama before taking a boat ride, as it is a great way to appreciate the sites of the city. 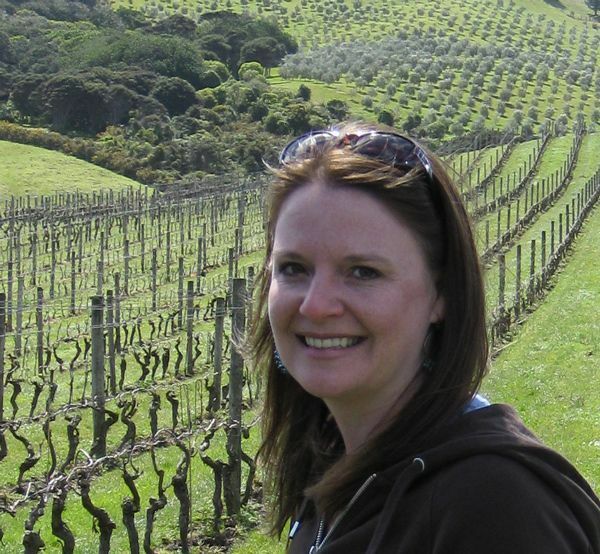 ★ If you’d like to tour the city with a local, check out this tour. From Tokyo Station, take the Keihintohoku Line towards Ofunait. Get off at Kannai Station. The journey takes about 45 minutes. For the purpose of taking day trips from Tokyo, you’ll want to stay as close to Tokyo Station as possible, because all of the lines you need go out of there. We really like the Ascott Marunouchi Tokyo. It has everything you’ll need. The rooms are very nice: all are suites with a small kitchen and washing machine. Wifi is free. It’s a very good location with a great price → Read Tripadvisor reviews. If you want to go more upscale, the Four Seasons Tokyo is just steps away from Tokyo Station and it’s a really gorgeous hotel. → Read Tripadvisor reviews. The Tokyo Station Hotel is excellent. These great day trips from Tokyo could keep you busy for weeks. You’ll likely have to choose the ones that excite you the most and prioritize those. I don’t envy the decision. Japan is a beautiful country with so many unique things to see. This entry was posted in Things to do and tagged japan.